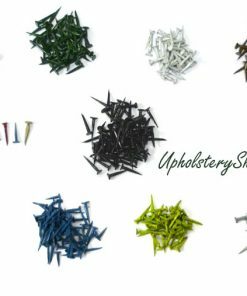 Suggested uses to help you choose the correct tacks. Tacks are either fine or improved. Fine tacks have small heads and improved have larger heads. 13mm are for medium weight fabrics and lightweight webbing and temporary tacking. 15mm for medium to heavy weight fabrics. Use 16mm improved for most webbing and temporary tacking. 20mm for heavy weight webbing and situations where you have several layers of heavy weight fabrics. 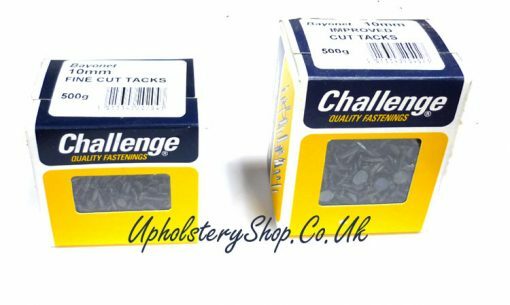 25mm or 1″ Use these tacks for carpets or similar.